The LPS Series centralised units are designed and constructed in accordance with the EN 50171 standard for uninterruptible-type emergency lighting. They are low-power centralised wall-mounted units with an output voltage of 24 Vdc. Maximum output power 300 W (up to 3 hours duration). Power factor: 0.98 when fully charged. 4 A output circuit with double terminal, maintained/non-maintained configuration and fuse-free dynamic short-circuit protection. 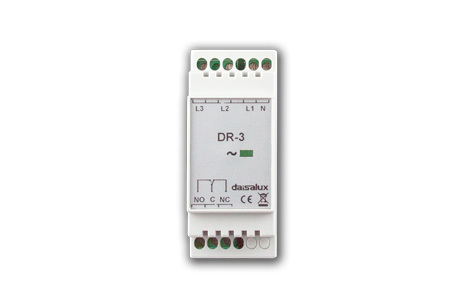 Option of installing Daisalux beacons with dimming. 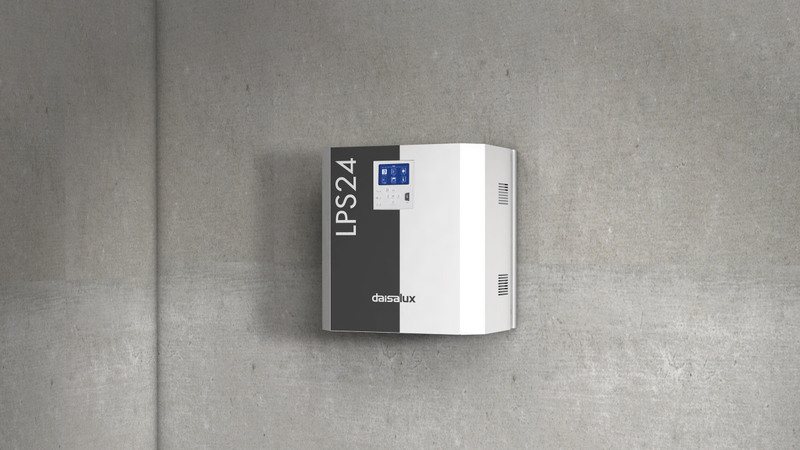 The DBR system can also be installed in ELC-type luminaires. Sealed valve-regulated lead-acid battery (VRLA). 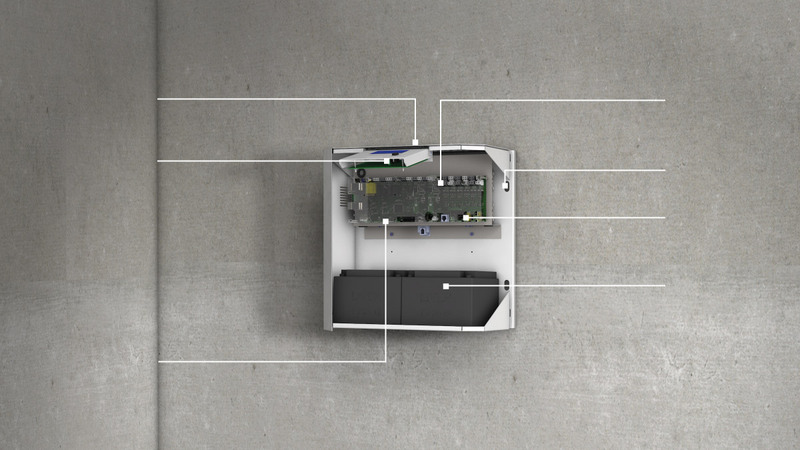 Top-mounted power supply intakes and outlets. Control panel with graphic display and keyboard for configuration and monitoring of the central battery. Front-loading mini-USB for PC connection. Ethernet connection with PC (LPSLan accessory) or web server for DaisaTest system. Integration with DaisaTest system for maintenance management (EN-50172). 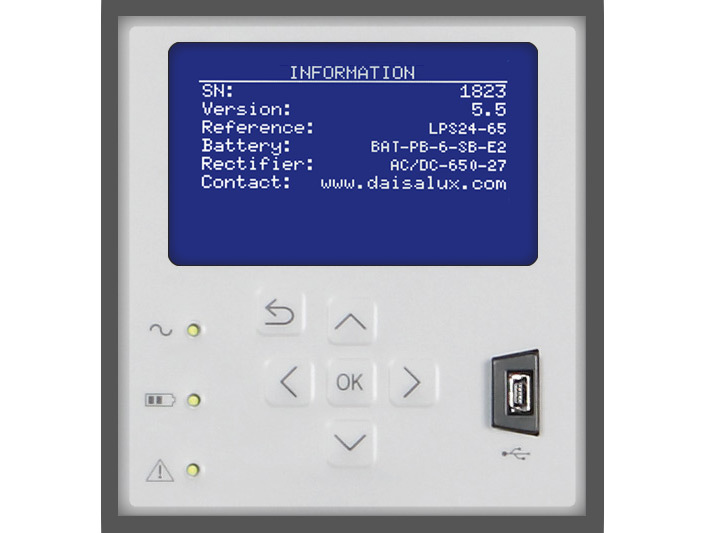 1 Daisalux remote control input. 4 dry contacts for failures, alarms and central battery status (EN-50171). Each LPS unit output circuit is configured as "maintained / non-maintained”. This operating mode is assigned to all non-electric line communication (non-ELC) luminaires connected to said circuit. 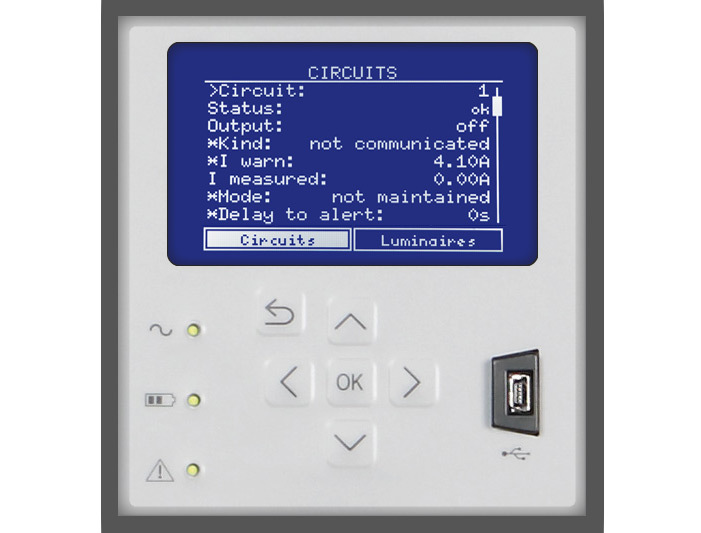 If luminaires with electric line communication (ELC) are used, the "maintained / non-maintained" operating mode is individually configured on each luminaire and is independent of the circuit configuration. The DaisaTest application (through the LPSLan communication accessory) can monitor and control an indefinite number of devices. 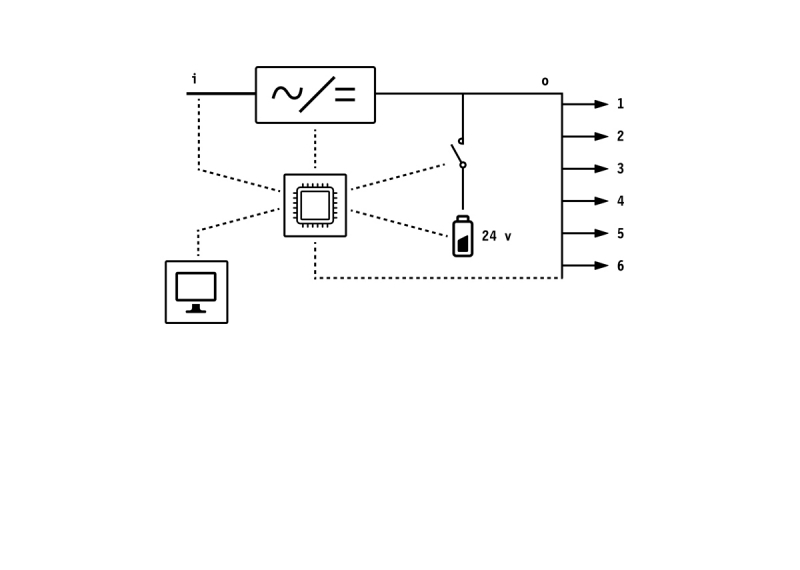 Configuration of the inputs, output alarms, duration and web server. 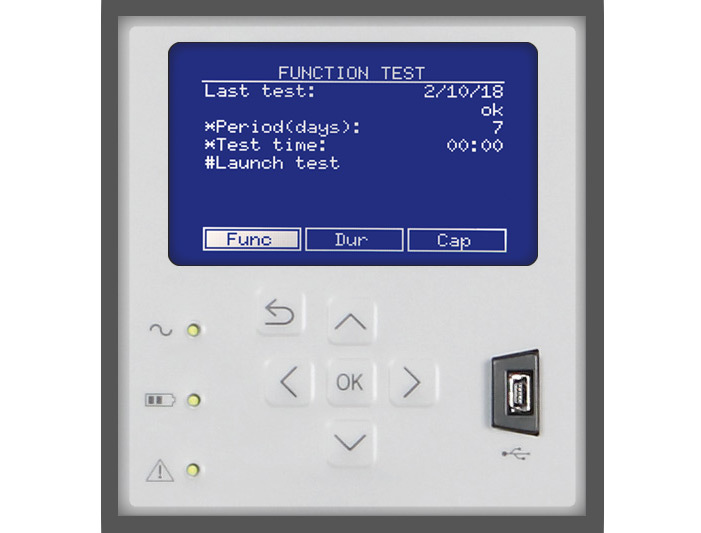 Configuration of functional, duration and battery capacity tests. 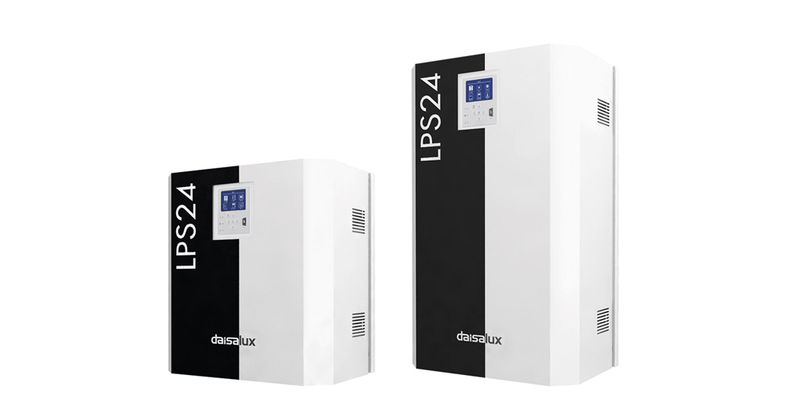 The monitoring unit controls the most critical aspects of safety (EN-50171) of the LPS units such as the status of the battery-charging rectifier, the general condition of the central battery, the status of the output circuits and runs functional, duration and battery capacity tests. It controls the charge voltage and current of the batteries and their temperature. Definition of the central battery’s duration. Configuration of the circuits in maintained / non-maintained mode. Configuration of the frequency of the tests, day of the week, test schedule, automatic/manual mode. Display of scenarios programmed with winCBS or web server. Zoning of communicating luminaires (ELC). Display of ELC-type luminaire status. Internal memory with central battery configuration log, test results and status of ELC-type luminaires. Communication module via Ethernet connection with integrated web server. 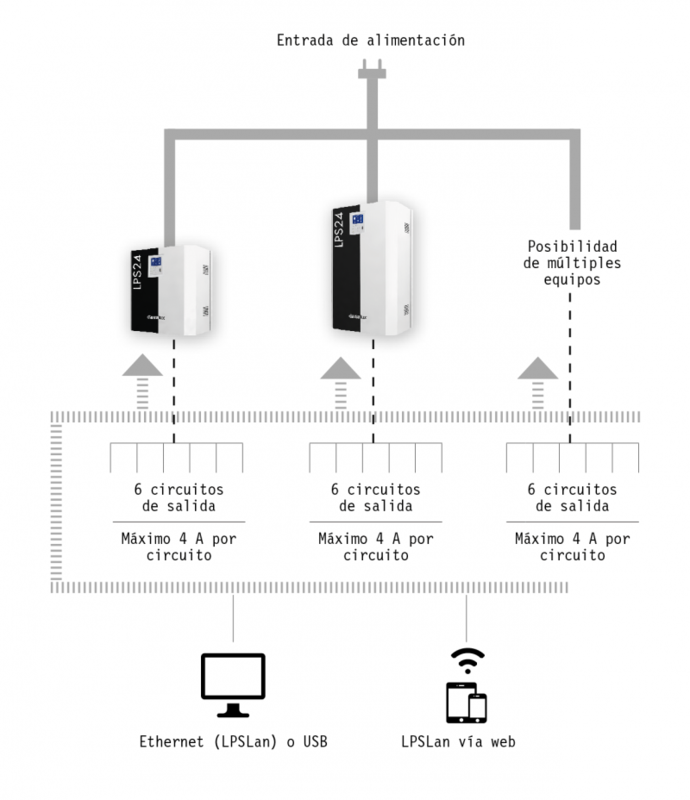 Enables monitoring of the central battery and ELC-type luminaires. Network fault detector for centralised LPS series units. Monitors the status of the network (3 phases and neutral) which it shows by flashing a front-mounted LED (off during network downtime). It has two contacts (NO, NC) connected to the LPS central battery auxiliary inputs and, in the event of a network fault, enables configuration of the output circuit start command. Download catalogue of centralised systems for emergency lighting.